There are 45 Primary Schools and 10 Secondary Schools in the School Sport Partnership. The 45 Primary Schools are clustered together around one or two Secondary Schools, where 6 of the Secondary Schools release a teacher from the PE Department one day per week to work with and support the Primary Schools in their 'cluster'. 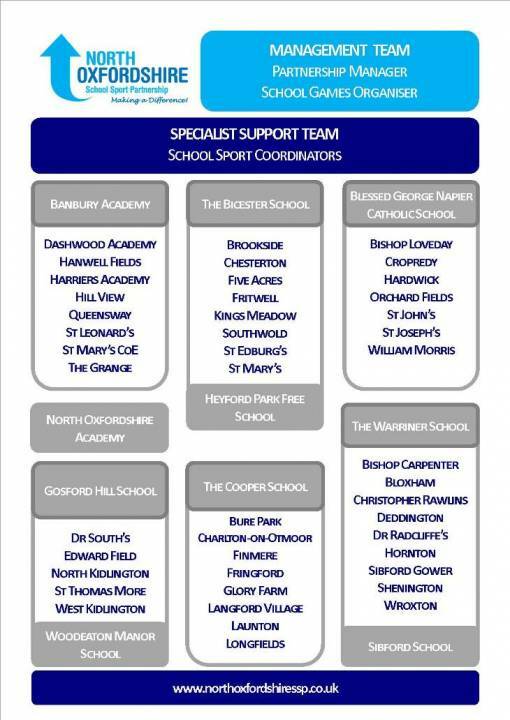 The image below lists all of the schools in the Partnership, and shows how each are linked and clustered together. To view contact details for the schools and PE leads, please click here.